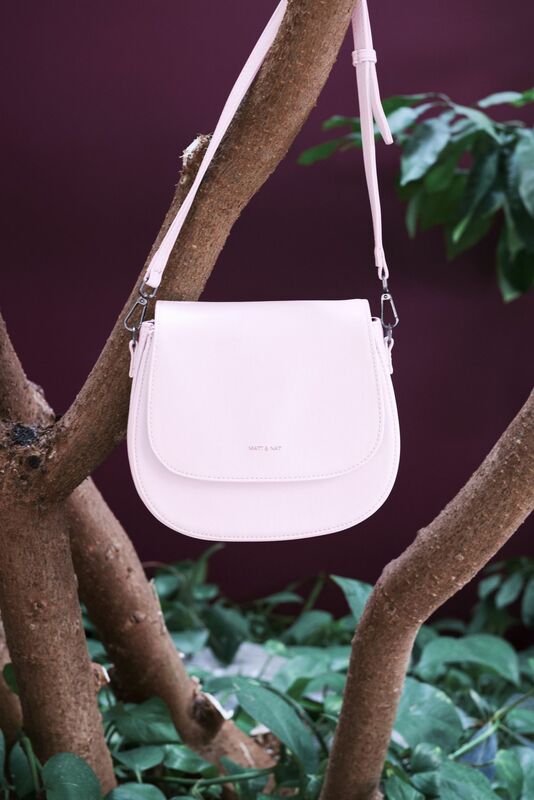 Spring fashion has sprung, which means a bumper crop of new bags to covet. 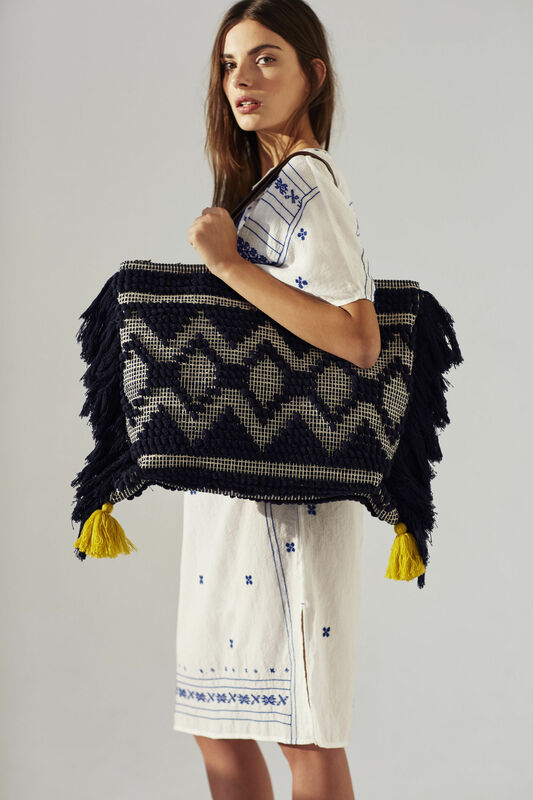 With more and more collections landing in stores every week, now’s the time to start excitedly compiling those new season fashion wish lists – and on the accessories front, the spring/summer trends offer some seriously desirable bags. 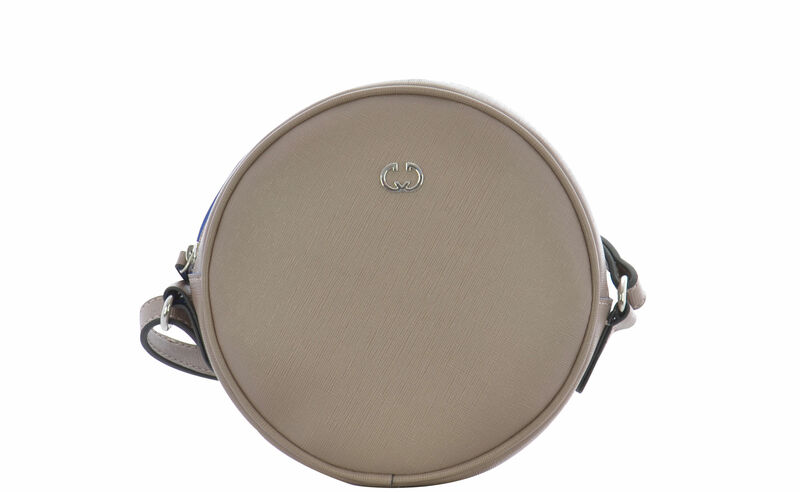 Neat, sweet and practical, a round crossbody bag – championed by Karen Walker and Anya Hindmarch on the catwalk – will become your new best friend for spring. Deceptively roomy, these little wonders easily fit your daily essentials, but they also encourage you to ditch all that junk you’ve been carting around, which is even more on trend – decluttering is the new mindfulness, don’t you know? 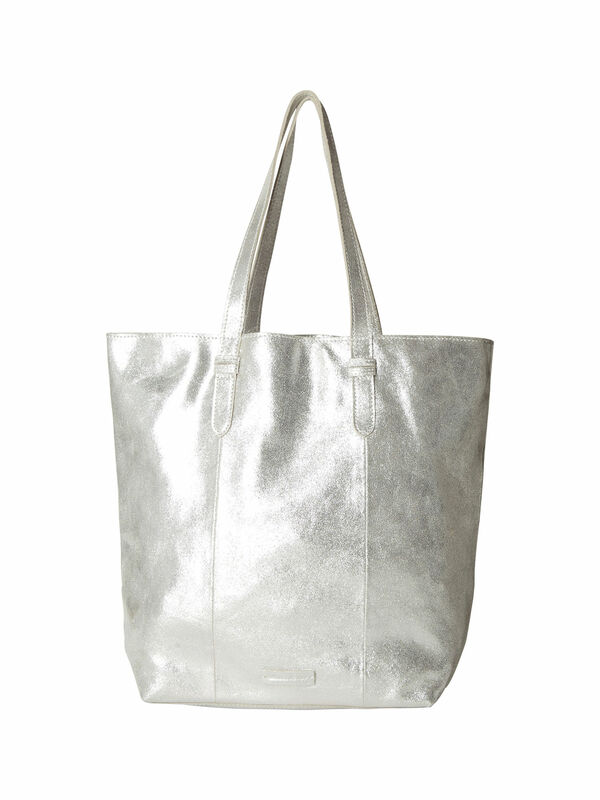 The bag that has ‘inspired’ the most high street dupes this season? That’ll be Gucci’s floral embroidered Dionysus. 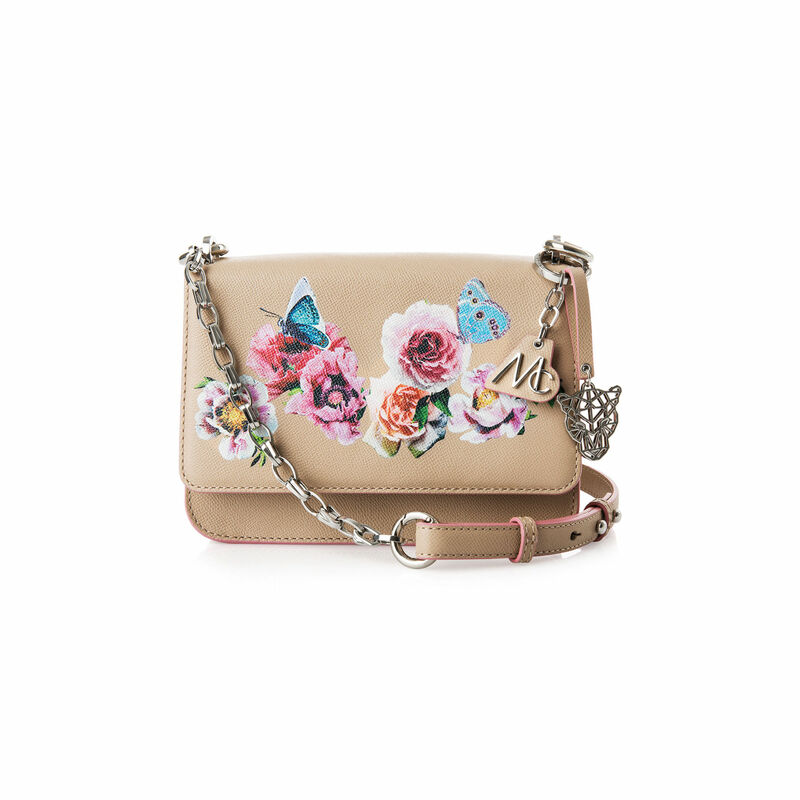 We’re not complaining though – these boxy, embellished, chain strap copycats are gorgeous for day or night. 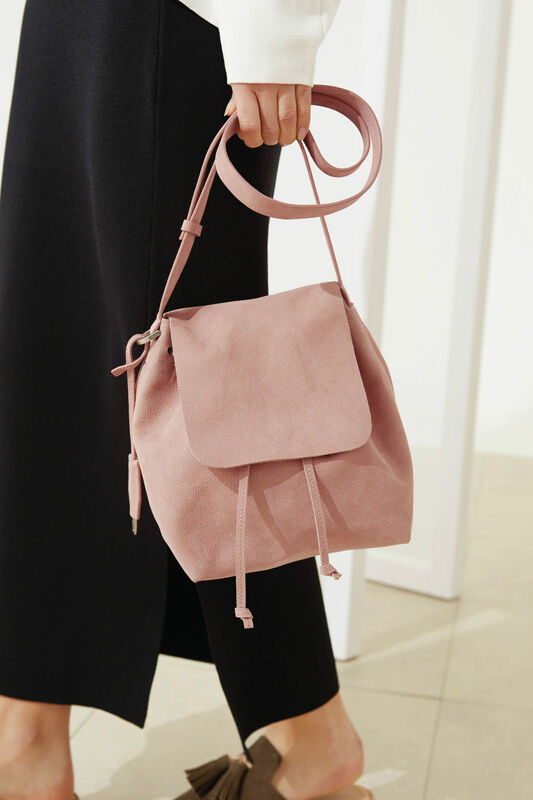 It’s THE colour of the season, but if you’re still scared to fully embrace pink in all its glory, a rosy bag is a step in the right direction. 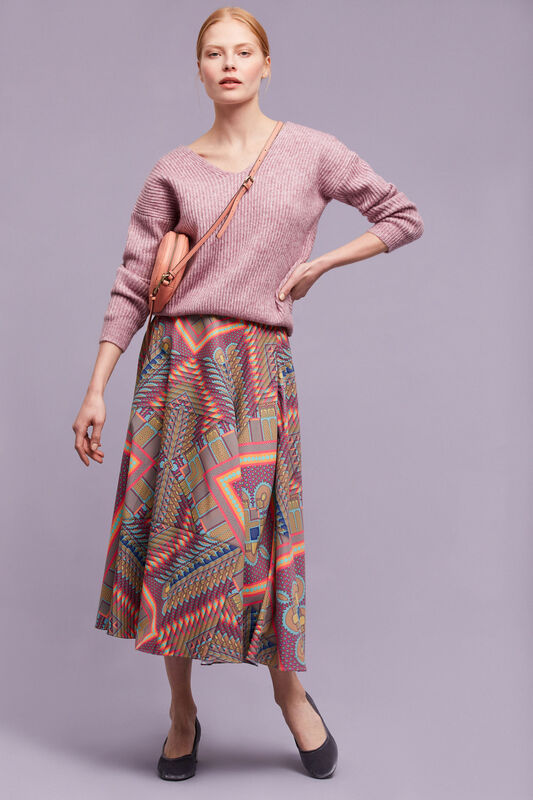 Pastel and dusty hues are your best bet, as they complement (or intentionally clash) common outerwear colours like black, grey, camel and khaki. 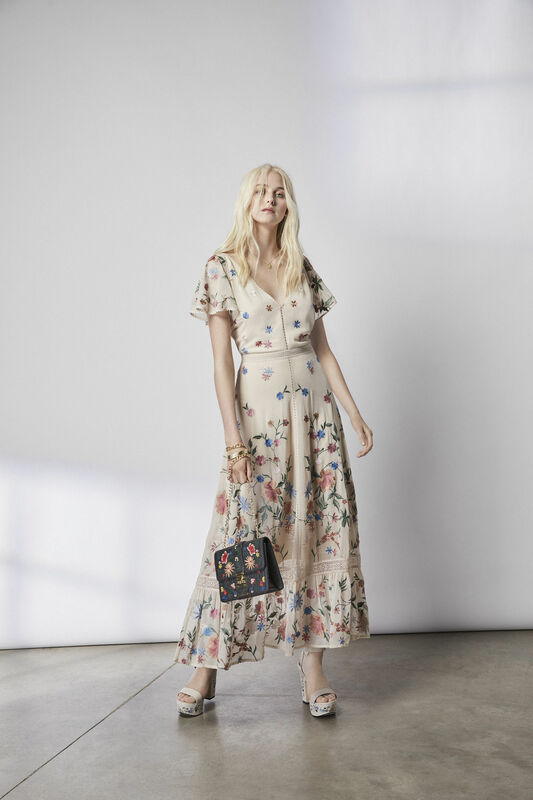 There’s a hint of it in the spring offerings, but once high summer collections hit the shops, we’ll be feeling a full-on Cuban fashion invasion, with ruffles and botanical prints galore. 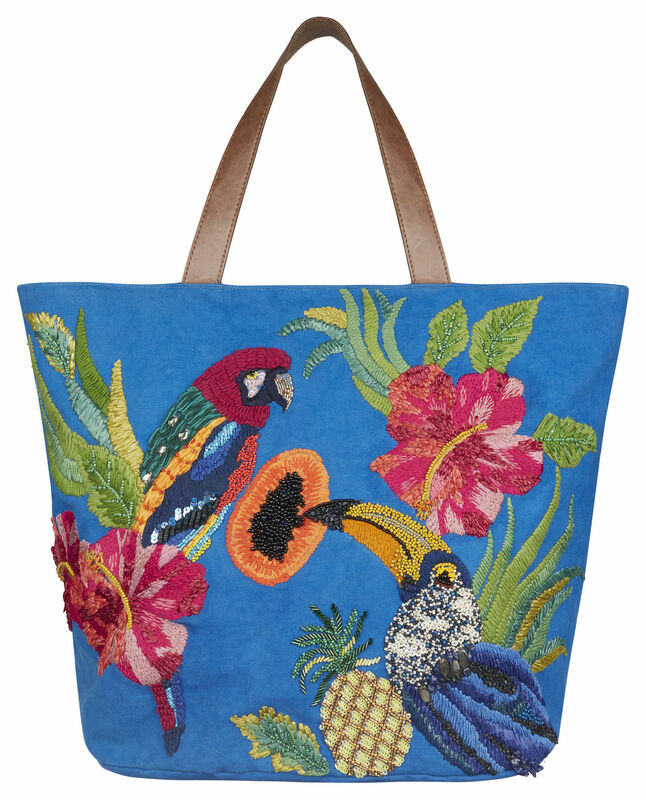 To accompany your hot halter dress and killer heels, you need a big, tropical tote – think raffia, tassels, beading, or all three. 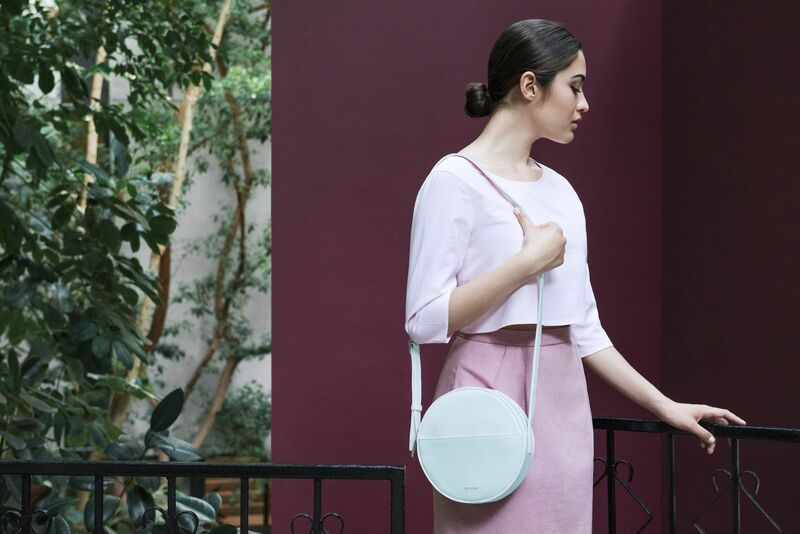 If you’re investing in the ‘athluxury’ trend this season (and you should, it’s a sharp look), a shiny bit of arm candy is what you need to complete this track-meets-tailoring combo. 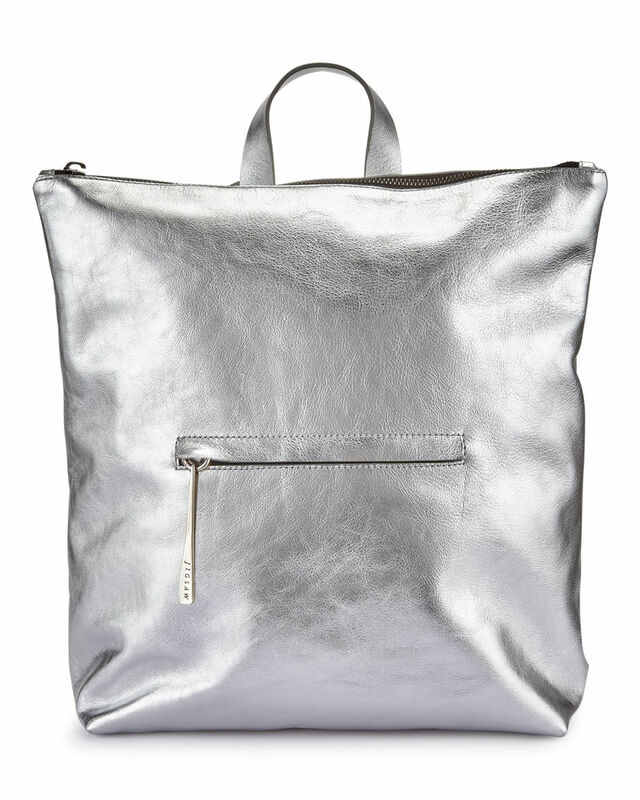 Spring’s metallic backpacks are particularly strong, with silver the obvious choice for pairing with sleek monochrome separates. We loved Fearne Cotton’s Seventies-inspired suede skirt and lurex jumper combo at the opening of her pop-up charity shop in River Island, London. 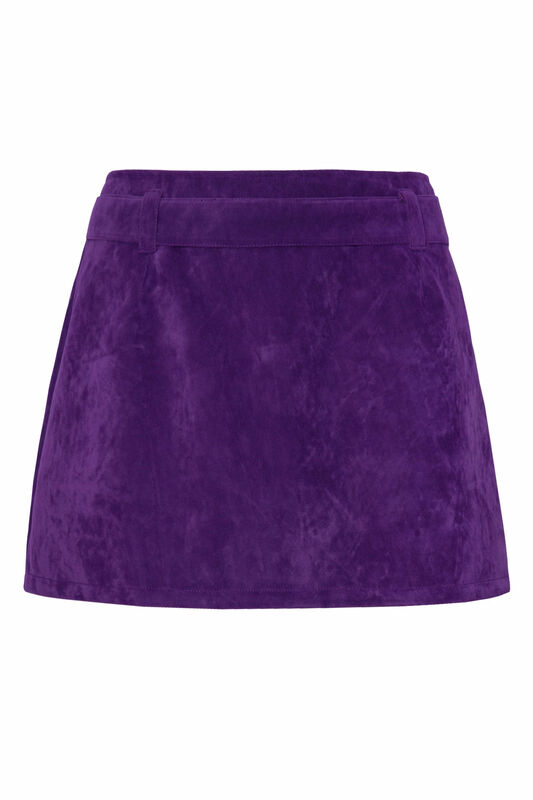 Knowing Fearne the skirt is probably vintage, but Motel Rocks’ purple faux suede mini is a bargainous version with bags of retro appeal.